Home Painters Melbourne are your expert Ivanhoe painting solution. With over 10 years of experience, you can relax knowing that our team will go above and beyond to exceed your expectations. All our painters are fully licensed and police checked as well as polite and friendly – so if you have any questions regarding your project, feel free to have a chat to your Home Painters Melbourne painter. They even clean up their work space before they leave! When it’s time for a paint refresh, make sure you call in the professionals at Home Painters Melbourne – your local Ivanhoe painting contractors. Looking for a professional and accredited painter in Ivanhoe Melbourne, Home Painters Melbourne are your local Ivanhoe painters specialising in interior and exterior house painting services. We provide exceptional quality on our finished surfaces and deliver our projects at affordable prices. Organise a free, no obligation quote for your next house painting project with the team at Home Painters Melbourne. Home Painters Melbourne is family owned and operated and backs every job with the 5 year workmanship guarantee, ‘It’s not complete, till’ you think it’s neat.’ Our painters have the highest standards and offer friendly prompt service. Home Painters Melbourne supply unrivalled painting solutions and services at amazing prices. For a painting contractor you know you can trust, talk to the friendly team at Home Painters Melbourne. We specialise in all aspects of interior and exterior painting, so no matter the size or complexity of your project, you can rely on our painters to get the job done right. 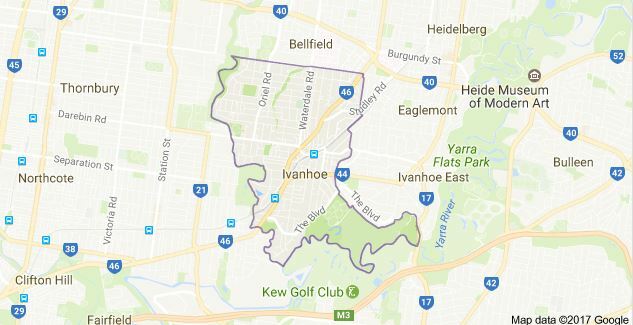 Operating throughout Ivanhoe Monday to Saturday, we strive to be flexible around your schedule, so as to cause as little disruption as possible to your home and family. Is it time for a fresh coat of paint? For a picture perfect result, make sure you call the professionals at Home Painters Melbourne – we have the experience and the skill to ensure that your project is completed on schedule, on budget and to a high standard. For professional and brilliant service at an affordable price, call us at Home Painters Melbourne for an obligation free quote or visit our online quote form.